Indeed, there’s nowhere else in the world quite like Laserium. The nondescript office building on a desolate block in the San Fernando Valley is actually the world’s birthplace of laser light entertainment, which conquered rock music in the 1970s and is now a staple at any rave, nightclub or arena concert. It was here that Laserium’s founder Ivan Dryer first took lasers out of the science lab and into a play-space — making videos of light shows set to jazz and classical music. In the early 1970s, he played the theater at Griffith Observatory on a Monday night, took out a few ads and packed the audience. It was such a success, the show became the theater’s main attraction. “We were 28 years non-stop,” Neilson remembers. “It was the longest running entertainment venue in Los Angeles history.” But attention came from outside LA as well: the Laserium team has since toured five continents and collaborated with artists like Madonna and Alice Cooper. How did you end up becoming Laserium’s chief laserist? It started out because my brother took me to the Observatory when I was about 14 and I was blown away. Eventually, I ended up going to college to get an electronics degree to work on this kind of stuff, and I decided to get a group of students together to buy some tickets to see a show. I had heard that my childhood friend from when I was 8 years old was working here — it was kind of serendipitous. So when I came here to this building to pick up tickets for the group, I asked to see my friend. I was like, “Hi, Dave,” and he said, “Hi. Want a job?” And that’s how I started here in 1986. I got to start working on electronics here while I was getting my electronics degree. All of a sudden college was really interesting because things I was learning in the classroom I could do at work. 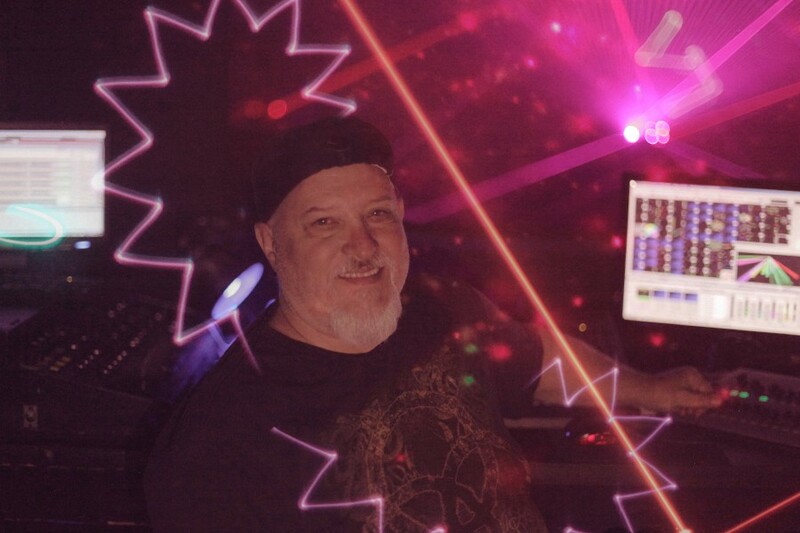 Then I had to really express interest in being a laserist and it took me a while to go through the ropes to get the blessing of Ivan Dryer [Laserium’s founder] and Scott Anderson [Laserium’s producer] to allow me to start playing shows up at Griffith. I haven’t been playing shows steadily since then [because] I got pulled away by the aerospace industry to Colorado, based on my experience here, for 12, 13 years, and I came back in 2001. I’ve been the main laserist since then. How do you bring your own style to these shows? First of all, you learn from your mentor and you have to show them you can do what you’ve been taught and follow the guidelines of the choreography. But then, after a while, they give you poetic license to go off and explore. And as long as they don’t feel like you’re crashing and burning, they leave you alone. It’s like an instrument. If you’re not taking time to learn what does what, to be expressive with it — that’s the only way you’re gonna get to that place — is to just put in time. Tedious time. Speaking of mentors, what is your relationship like with Ivan Dryer? He’s had a huge influence on my life. He’s revered by so many people. I ended up becoming pretty good friends with him. I was intimidated by him when I first started here. It wasn’t until maybe in the last 10 years, I spent more one-on-one time with him and had a more personal relationship with him. He’s pretty intense. He’s probably got one of the most amazing work ethics of anyone I’ve ever met in my life. I’ve seen him go through so many personal challenges and he never lets anything stop him. He even had a broken back and it was inoperable and he was caring for his wife who has MS at home and you can’t stop him — with a broken back, he still is lifting things and moving things. He’s really intense that way. He always has to be doing something, focused on something. Something else that is cool: not only is he the grandfather of the laser entertainment industry, he would chase solar eclipses before anybody did it, before there was any industry for it. He would take photographs and write up these articles. Now there’s this whole industry where people book cruises to chase the eclipses. He started that industry. He’s a pretty amazing guy. Are you using the same lasers now as when you first started working here? 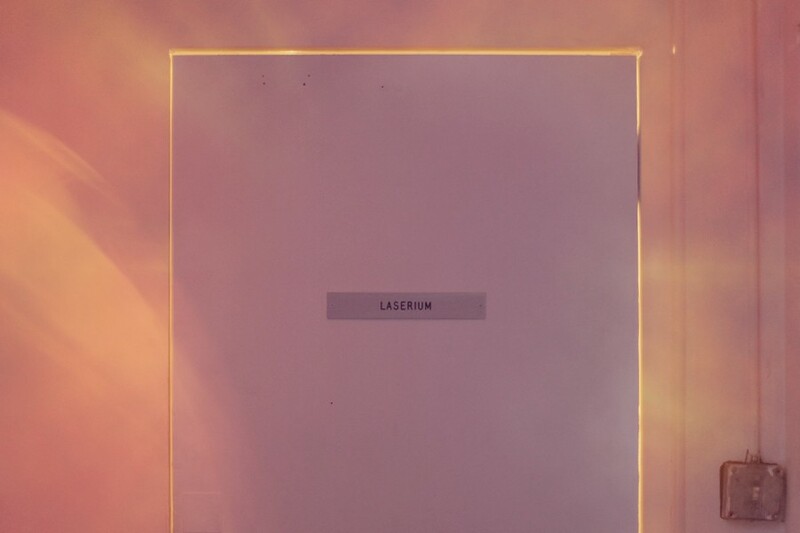 When Laserium started out, we were using ion lasers that were made for laboratories. What Ivan was doing was using lasers in a way that was never intended. The ones for the labs came in glass tubes. They would break and be very delicate. As these laser companies started to multiply and grow, Coherent [the Santa Clara-based, publicly-traded industry leader] ended up designing lasers for the entertainment industry. They were still ion lasers but they made them more robust so they could handle more of a beating. They came out with the ceramic tubes and you could just fire those puppies up and wouldn’t have to be so delicate. One that was projecting on the wall during the show was a laser that Coherent made specifically for the industry. Back in the day when it came out it was like a Maserati, a Ferrari of lasers, but it’s old stuff now. When I was doing shows up at Griffith, a laser with a 48-inch frame would take 3 gallons of water-a-minute to cool and 208 volt 3-phase, putting out 40 amps of current just to get 1 watt at the dome at Griffith. Now you’ve got people that are making flashlight-size lasers that are over 5 watts. I think some are up to 10 watts now, almost like light sabers. What has made that possible? The industry is now dominated by solid-state lasers being built by the Chinese. The one we were using that was going over the crowd with the beams? That was a solid state laser, except that projector was built in Hungary. If you go to a rave or an EDM show or even corporate stuff, it’s all these solid-state beams. It’s getting really homogenized out there. What are your favorite songs to laser to? Do you ever have to kick people out? Hardly ever. 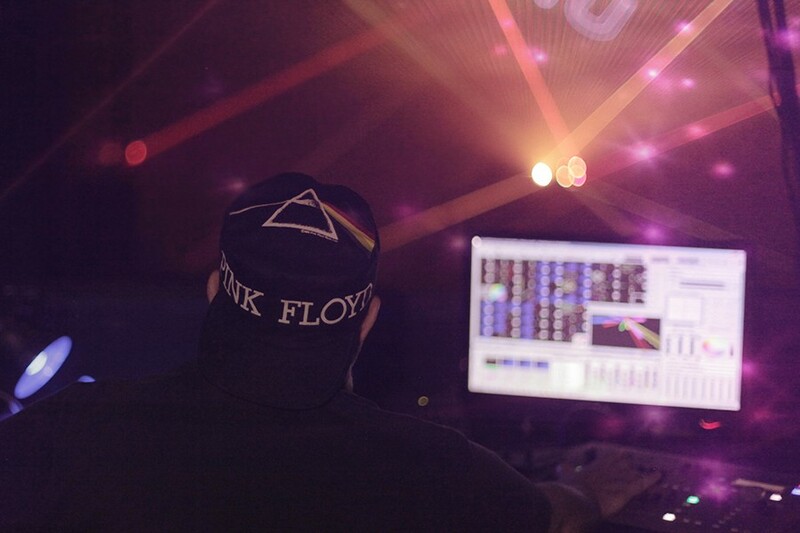 There was one time when I was doing a Pink Floyd show at the Griffith Observatory. At the time it held 640 people in there, and I’m jamming away on, I think, “Welcome to the Machine.” This guy stands up and starts pointing at the dome and screaming, “I see God! I see God!” and he wouldn’t stop. We had to bring the sheriff in and the sheriff literally had to drag him, and I’m trying to keep the show going. It was quite the buzz kill, I’m sure. Do you think you’ll ever retire from this? I always get pulled back here. I get pulled away and then brought back. It’s really been this thread in my life. It’s choosing me than me more than I’m choosing it. Zak Stone is MEL’s executive editor. He previously interviewed a comedian who seriously pissed off The New York Times.